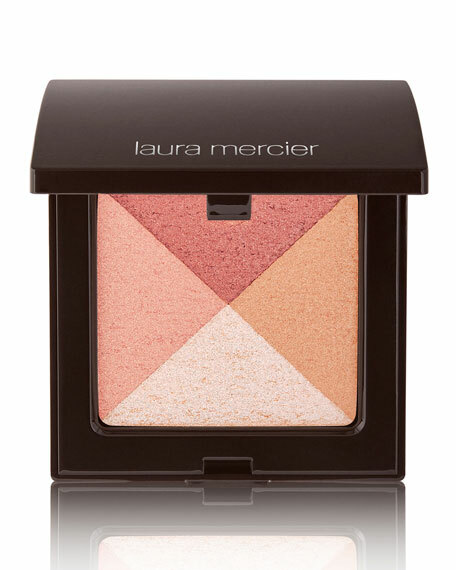 Contains light-reflecting properties that blend together to give the skin a healthy all-over glow. Use colors individually as eye shadows or highlighters to create the look you desire. The modern wearable pearl leaves the skin gleaming without being too frosty or metallic. Apply sheerly over the face to add warmth and subtle glow or build on the apples of the cheek for a burst of color. Apply to cheeks with Finishing Brush and use the Bronzer Brush for an all over radiance.